On October 4 and 5, the global luxury house MCM honors its German heritage and design DNA with "VIVA MCM! VIVA BERLIN!" a two-day experiential immersion into Berlin's highly influential art and music worlds, celebrating the city's re-birth of creativity in unexpected places. Founded in Munich in 1976, MCM has since become an international symbol of German craftsmanship and millennial style. The label observes its profound connection to Germany while recognizing Berlin as the new center of global culture and initiating collaborations with the creative community of Berlin. Inspired by the Bauhaus movement and led by the 21st -century cultural zeitgeist, MCM represents new school luxury that is deeply in tune with the creative figures and cultural movement of the moment. Much like MCM itself, Berlin represents the central point between East and West, where diverse people and revolutionary ideas unite in a clash of civilizations, creating the new and next. Bold, rebellious, free-thinking, entrepreneurial, and perpetually renewing itself, Berlin is symbolic of a youthful attitude and serves as the hub of contemporary creativity. Over the course of two days, MCM immerses international media and influencers into this community. First stop: Berlin's eclectic, international music scene, which comes to life at The Store at Soho House Berlin with an opening party deejayed by a killer roster of performers. First on deck will be South Korean DJ and producer Peggy Gou - known for her Martinez Brothers remixes and fresh off a North American tour, followed by Berlin's own music trio FJAAK, described as the first techno boy band in the universe. Austrian-born painter, musician, and performance artist Egon Elliut will close out the night. These performers embody the wild, anything-goes spirit of the city and its deep commitment to pushing the boundaries of sound. The opening evening also launches a music collaboration with FJAAK that explores the connection between MCM, music, and travel. 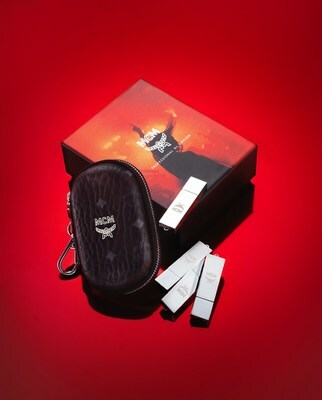 On display is a newly designed custom USB pouch loaded with 20 min travel-inspired mix exclusively produced for MCM by FJAAK. On night two, MCM transports guests to the center of Berlin's art community with an intimate dinner at König Galerie showcasing a collection of limited MCM editions curated by KÖNIG SOUVENIR, a label for unique objects of art in collaboration with the gallery and its artists. Guests include highly recognized artists as well as key players from Berlin's cultural landscape. Set in the soaring Brutalist building in which König is housed MCM offers an exclusive preview of the KS x MCM collaboration with the revealing of a work-in-progress installation of the KÖNIG SOUVENIR x MCM partnership, launching at Art Basel Miami Beach in December 2017. The result will be an understanding of the people and places that make Berlin a center of a modern creative movement - and how MCM itself enables 21st-century expression. MCM's Chief Visionary Officer Sung-Joo Kim says: "Berlin is a city with a monumental history, yet it is perpetually renewing itself in a ceaseless quest for freedom and expression. At MCM, we find great inspiration in the rebirth of Berlin and its creative communities-where art, fashion, and entertainment meld and the underground converges with the mainstream. This is Berlin now." MCM is a luxury travel goods and accessories brand with an attitude defined by combining a contemporary aesthetic and focus on functional innovation with the use of cutting edge techniques. Founded in 1976 at the pinnacle of Munich's creative renaissance, today, through its association with art, music, technology and travel, MCM embodies the bold, irreverent and aspirational. Always with an eye on the new, the driving force behind MCM centers on revolutionizing classic design with futuristic materials. Cross-pollinating its Western and Asian heritage, the brand draws reference from Munich to Seoul. Appealing to the Global Nomad generation - dreamers, creatives and digital natives - MCM's millennial audience is ageless, genderless, empowered and unconstrained by rules and boundaries. This is New School Luxury. MCM is currently sold in 478 stores in 35 countries including Munich, Berlin, Zurich, London, Paris, New York, Hong Kong, Shanghai, Beijing, Seoul and Tokyo. 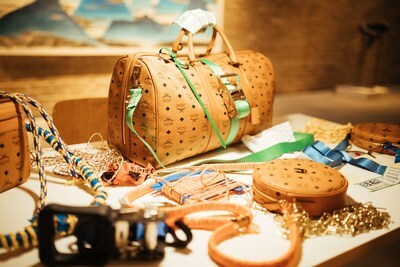 For further information about MCM Worldwide visit http://www.MCMWorldwide.com.